Even as the market tumble, fundamental developments are somewhat shielding the altcoin market from further dents. Of course, the price is one of the many metrics for gauging performance and adoption levels. Therefore, it is no surprise that investors have their eyes on XRP. Regardless, what we do know for sure is that XRP is more than a tradable asset. It is a utility. An on-demand liquidity tool that companies, banks and service providers can use to move funds almost instantaneously. 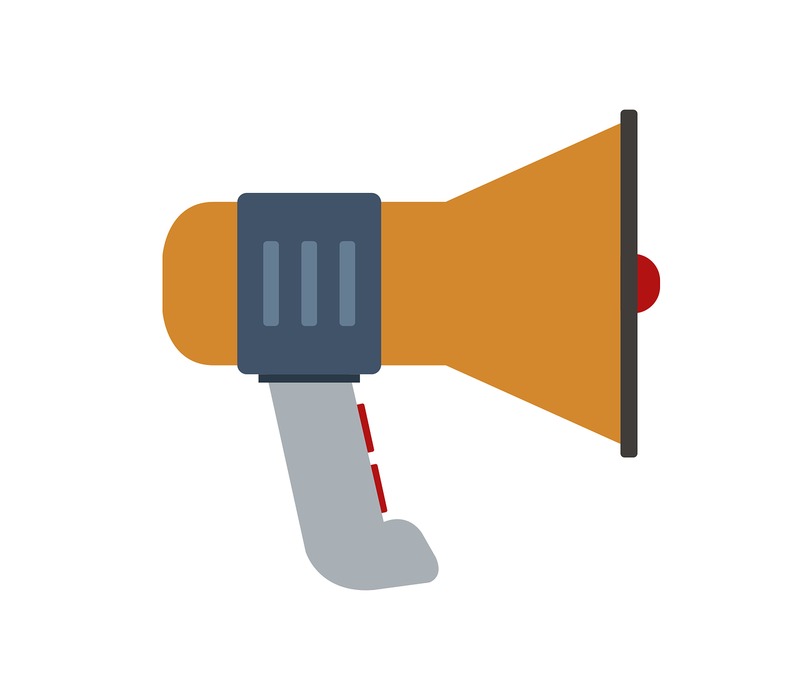 Advocates are drum beating, always loud on the social scene and the “near euphoria” is understandable. After all, XRP is now the second most valuable coin in the space after eclipsing ETH thanks to their stability at the face of marauding bears who have so far been successful in dashing buyers’ expectations. In the top 10, XRP is the only gains that has registered gains in the last month. Though minuscule, it is up four percent and what’s more, CoinBase Custody has since declared their support for XRP after the exchange got a nod from the New York DFS. It’s not hype. Its something that has been developed year after year by the believers and visionairs of XRP Ledger. They stay true to the fundamental value of it, support it, and build on top of it. Its starting to come to fruition. Media & people are all late to realise this. That’s not all, the community is still tireless, shilling the coin as they highlight the benefits of making XRP base at Binance. With Changpeng Zhao responding, odds are the exchange could consider XRP further helping the coin decouple from BTC influence. At spot prices, XRP/USD is down 4.7 percent and 5.3 percent in the last week and day. However, these declines are across the board. As long as BTC is king and struggling against bears, altcoin prices including XRP will continue registering reds like it is the case. Nonetheless, unlike others, XRP bulls are in charge and we expect prices to recover and even print above Oct highs inviting bulls in the process. Technically, XRP/USD is bullish thanks mostly to the shift of momentum of late September. However, what’s important is the way XRP bulls are maintaining prices above 40 cents. 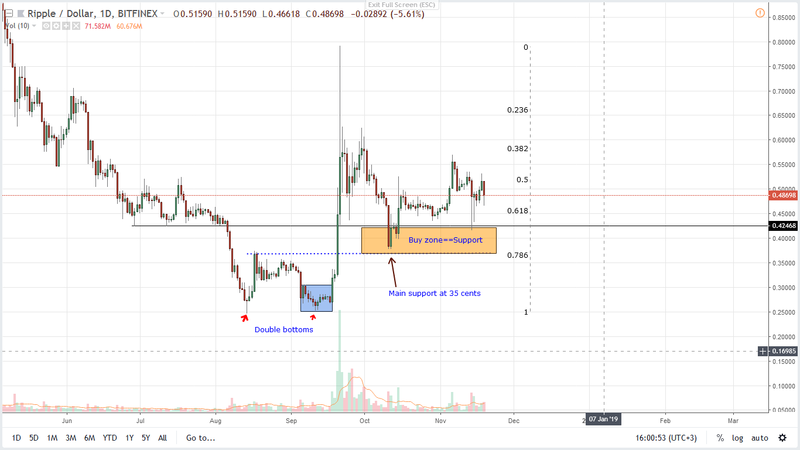 Notice that while prices did slide after Nov 14, there was a sharp recovery in XRP and the result was a long lower wick hinting of buy pressure in lower time frames. That’s not all, prices are ranging within a tight 20 cent range with clear support at 40 cents and important resistance at Oct 2018 highs of 60 cents. Unless otherwise there are sharp declines below support, XRP/USD bulls are better placed to expand in coming days. In previous XRP/USD trade plans we said that unless there are sharp losses below 35 cents-40 cents accompanied by high trade volumes exceeding 750 million average of the week ending Sep 23, then bears are in charge invalidating this stand. However, compared to Sep 21 average of 750 million, Nov 14 price slides were driven by a mere 140 million with recent averages less than 50 million. This points to a stable market with bulls in charge. As reiterated before, XRP/USD is trading within a bullish breakout pattern with recent ranging market printing a bull flag. The base of this flag is the 35 cents-40 cents support level while the resistance trend line marking the 60 cents or the 38.2 Fibonacci retracement line is our buy trigger line. Everything else constant, we are net bullish and expect XRP/USD bulls to edge past 60 cents or Oct highs triggering traders to buy on pullbacks with first targets at 80 cents. On the reverse side if Craig Wright insinuation that XRP is a security is true and the SEC acts accordingly, then prices will surely tumble below Sep 2018 lows. Before then, every low should be a loading opportunity but considering how unfavorable risk-reward ratios are, we suggest taking a neutral stand until there are sharp gains above 60 cents. Thereafter, we shall trade as per our previous recommendations with targets at 80 cents, $1 and later $1.65.